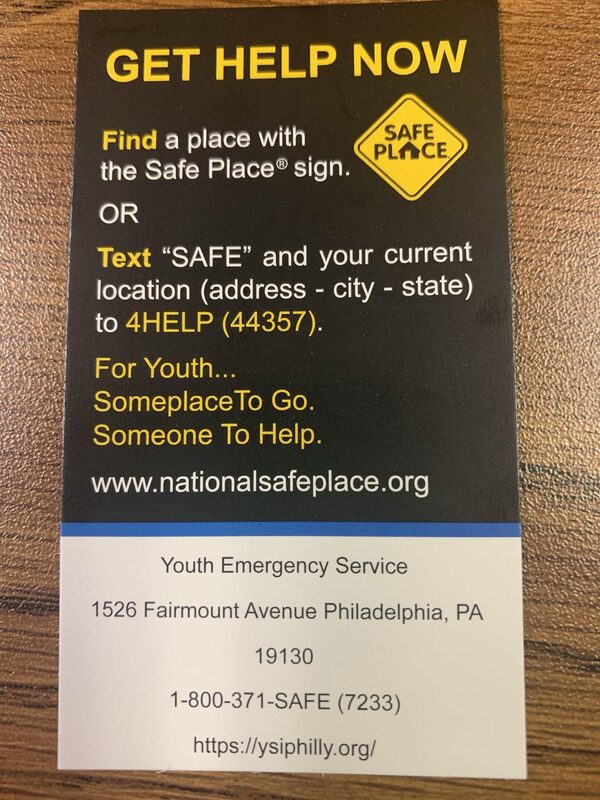 *This post is written by a former Runaway and Homeless Youth (RHY) program client who was referred to Youth Service, Inc.’s Youth Emergency Service through a local Safe Place site. 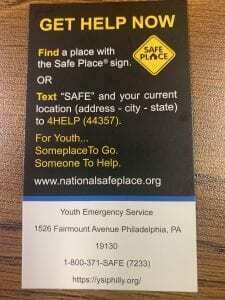 I learned about the Runaway and Homeless Youth program (RHY) through a local Safe Place site. While I was in the RHY program, I always felt safe and that I had someone to talk to if needed. I always felt connected to my service coordinator (social worker) and the rest of the RHY team. I never waited long when I needed something because the team always met my needs. Even though I was going through a hard time, I felt hopeful and that there was a way out because of all the work the RHY staff did to help me. Although I’m no longer in the program I still feel like I can talk to the team and even come back to visit. They helped me get to a better place and I am very thankful they cared enough to help me. I still feel like if I ever need somewhere to go and just talk to someone, I can come talk the RHY and get the support and advice I need.